Home Science Aliens attacked Mars with nukes! Claims scientist. Aliens attacked Mars with nukes! Claims scientist. Scientist Dr John Brandenburg claims that life on Mars was wiped out by a nuclear attack. He claims that a civilisation on the planet Mars was once decimated by a nuclear strike launched by an advanced extraterrestrial alien race. Just recently, NASA’s Mars Odyssey spacecraft was able to detect high concentrations of Xenon-129 in the Martian atmosphere. The same amount of concentration was also found following various nuclear incidents on Earth, including the Chernobyl disaster that happened back in 1986. “Given the large amount of nuclear isotopes in Mars atmosphere resembling those from hydrogen bomb tests on Earth, Mars may present an example of civilisation wiped out by a nuclear attack from space,” Brandenburg wrote in his paper. “Providentially, we are forewarned of this possible aspect of the cosmos. The author therefore advocates that a human mission to Mars is mounted immediately to maximize knowledge of what occurred,” he concluded. While some scientists agreed that nuclear explosions destroyed life on Mars, they do not concur with Brandenburg’s theory that the nuclear attacks were launched by aliens. 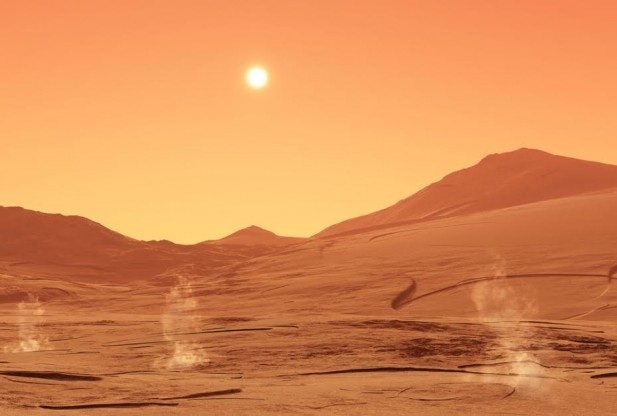 A gradual and natural nuclear reaction happened on Mars, Dr. David Beaty a science manager at NASA’s Jet Propulsion Laboraty said according to Digital Journal.